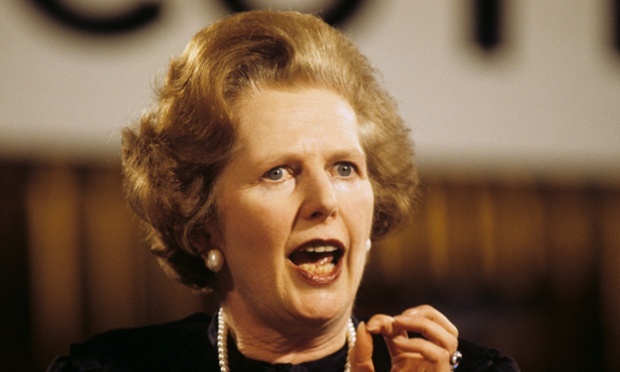 The US government suspected that a mole inside the FBI was passing secrets to Irish republican militants who repeatedly plotted to assassinate Margaret Thatcher in the 1980s and 90s, files released to the Guardian showed on Monday. A series of investigations by federal agents into alleged plots to murder Thatcher during visits to the US are detailed in hundreds of pages of FBI files involving the former prime minister, which were made public following a freedom of information request made after her death. One trusted source told the FBI that a “female, secretary type” in the agency’s New York bureau was giving the provisional Irish Republican Army (IRA) “access to computers, name checks and ID” – a claim that agents said tallied with independent allegations of a leak. Fears that the New York field office may have been compromised led William Sessions, then the FBI director, to order that all material relating to an apparent plot against Thatcher by a two men linked to Sinn Féin must be restricted to a pair of senior officials. The precautions followed several years of alleged plots detailed in the files. In February 1981, two men with “English or Irish accents” were overheard by an FBI source “of proven reliability” in the cocktail lounge of the Boar’s Head restaurant in Falls Church, Virginia, seemingly discussing a “hit” during a visit by Thatcher. “This will even the score for H,” one man was overheard saying. FBI agents took this as a reference to the H-blocks of the notorious Maze prison in Northern Ireland, where IRA members were being held. “The Iron Maiden [sic] is no better than any other bloody PM,” the man went on. The man was also said to have been heard referring to Bloody Sunday, “war” and “blanket men”. Several IRA prisoners carried out a protest against their uniforms, in which they wore only blankets for several years. The man’s drinking partner was said to have tried to “quiet him down”. The FBI carried out surveillance of the restaurant while interviewing staff and alerting field offices around the region. New York said that “three known IRA terrorists” were known to be in the area. Suspects were identified, but their names were redacted in the files released on Monday. Also included were poor photocopies of photographs of the suspects that were circulated between agents. Delta airlines was co-opted to help locate their flight records. As agents scrambled to find the alleged plotters, the source who overheard the conversation was asked to undergo hypnosis and take a lie detector test to help determine whether he was telling the truth. However, he refused and was angry at his integrity being called into question. Despite some fraught nerves among FBI officials, in the end Thatcher’s visit to New York and Washington, where she was to collect an honorary degree from Georgetown University, passed without incident. By March 1981, the case was declared closed, the files show. Several more threats against Thatcher – of varying significance – emerged in the following years. In 1987, a suicidal man from Florida was said to have threatened to kill Thatcher but “got lost” on his way to Camp David, the presidential retreat where she was staying with Ronald Reagan. In December 1989, a man with an English accent called the FBI from Southampton to warn that Thatcher and then president George Bush Sr were the targets of an assassination plot by a group going by the name “God’s Soldiers”. Neither threat amounted to much investigation. However, a fresh plot emerged in July 1992, following Thatcher’s departure from 10 Downing Street and in advance of a speaking trip to the US. A tipoff arrived from a trusted FBI asset based in Boston, who was apparently working undercover in American-based IRA circles and had learned of the plot in a New York bar identified as a “hotbed” of IRA activity. The investigation was taken very seriously. Dozens of pages of files were created, and the mole inquiry was launched. Two known IRA operatives thought to have been behind past attacks in the UK and said to have fled California for New York, were identified as the prime suspects – although their names were also redacted in Monday’s release. However, Thatcher’s visit again passed without an attack. She was able to complete her 12-day itinerary, which as well as a visit to Bush in the White House and lunches with high-powered American officials included six separate hair appointments. This page was loaded Apr 22nd 2019, 10:49 pm GMT.